I am doing a final UI refactoring before going live, for a web application project. 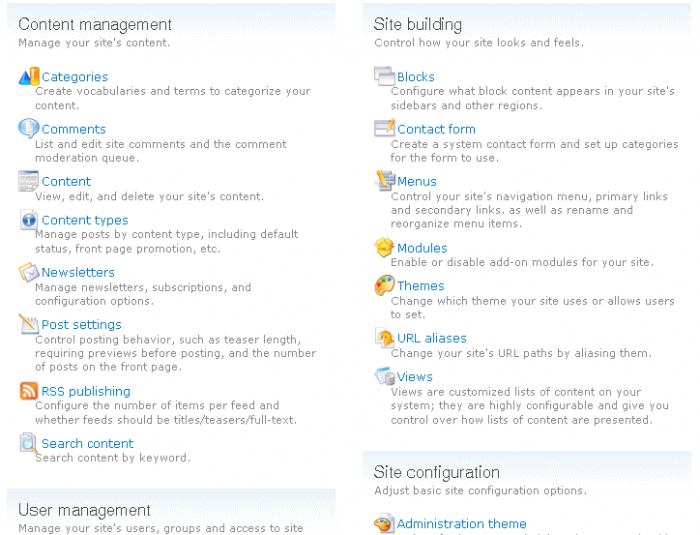 This particular is build on drupal making an extensive use of the ingenious designed module cck. I have installed iconizer but the administration modules icons are all of this type . So… not appealing at all, for the end user. Fortunately I found here a gziped file with all the proper icons corresponding to the drupal administration modules here. My poor Spanish Italian helped me realize that this is actually a GP license issue, so the icons were removed from the initial drupal module distro, read more here.